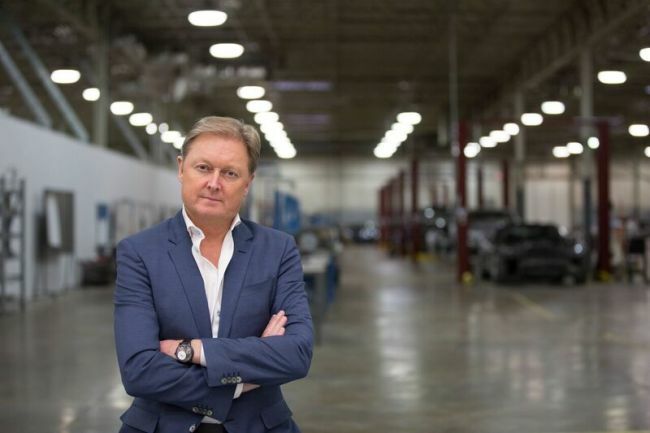 Henrik Fisker, a Danish-born automotive designer, is known as the man who turns dreams into reality. For over a decade, he has been engaged throughout the entire process of creating automobiles -- from the early stages of design to giving the finishing touches to iconic luxury cars, such as the Fisker Karma, BMW Z8 and Aston Martin DB9. According to the luxury concept car designer, who will be speaking about automobile design innovation at the Herald Design Forum 2016 on Nov. 8, there is always room in the industry for innovation. “A new brand that would challenge the establishment is always in need. New technology will sell best when it is incorporated into a great design that connects emotionally with the customer,” said Fisker in an interview with The Korea Herald. While the automobile industry is seeing advancements in new technologies for self-driving cars, such as Google’s self-driving cars and Tesla’s eco-friendly cars, Fisker said it is important to understand how to functionally integrate new technology that everyone can use. “Design is very difficult to evaluate before it is put on the market, while only few will truly understand the dynamics of getting the engineers and the designers to work together to create game-changing products that are commercially successful as well,” Fisker said. Fisker founded and launched Fisker Inc. in 2005, a company based in California, with the aim of building the world’s first production plug-in hybrid electric vehicles. The company unveiled the first concept version of this car, the Fisker Karma, in 2008 at a Detroit Auto Show. At Fisker Inc., his team has been busy trying to make use of a new variety of materials. Currently, they are testing out graphene, with the aim of bringing about revolutionary innovation to batteries. “Our first-generation battery is going to be built to have longer range, shorter charging times and a longer life than any other battery, while the second generation battery will be without any lithium and therefore nonflammable. “We are designing new ways of integrating the battery packs. I’m changing the proportions of the vehicle, which will lead to a radical new design in both the exterior and interior. This will have an amazing new emotional connection with the customer,” said Fisker. When asked about the rapidly changing industrial design trends, he said customers play a role in these changes. “As people’s attention span is becoming shorter, there is a trend towards understanding the customer’s need for a simpler user interface,” said Fisker. “I believe a good designer must understand what is going on in the world and recognize the constant movement in society,” he added. Fisker also stressed that leading designs are those that can integrate the latest technology while grabbing the attention of the consumer with a strong emotional connection. “If there was no emotional connection through design with the consumer, everybody would only buy the cheapest smart phone and the cheapest car. And that is why people still buy many other types of cars, (that are) much more expensive,” said Fisker.